Post-secondary chemistry teachers educate college and university students on chemistry and related subjects. (CareerBuilder.com) -- Imagine someone walking up to you at the top of every hour and handing you a $20 bill. You'd be earning approximately the same amount of money that the average American does. According to the Bureau of Labor Statistics, the national mean for hourly wages is $20.44. That said, wouldn't it be nice to earn more than the average? Not that a $20.44/hour gig is anything to sneeze at, but a bigger paycheck is never a bad thing. At least it's fun to daydream about having more money in your checking account. That's why we play the lottery, after all. We've put together a list of jobs that pay at least $10 more than the national average just to give you an idea of how some people are earning their nice paychecks. Indulge your curious side and take a look at these 30 jobs that pay between $30 and $39 per hour. 1. Post-secondary communications teachers teach courses on different types of communications (journalism and advertising, for example) at universities and colleges. 2. Post-secondary education and library science teachers teach education and library science courses at universities, colleges and other higher education institutions. 3. Purchasing managers make purchases on behalf of organizations in order to get needed supplies at the best rates. 4. Environmental engineers study environmental problems, such as air and water pollution, and design solutions that governments and the general population can put into practice. 5. 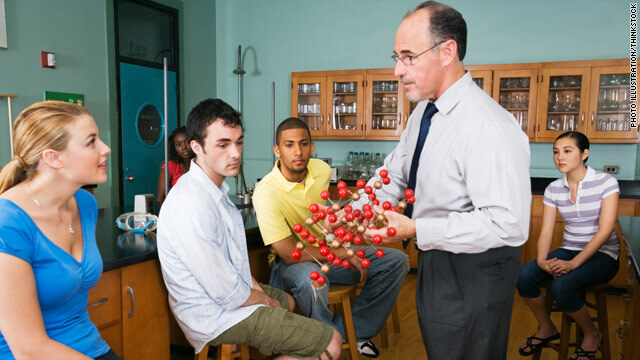 Post-secondary chemistry teachers educate college and university students on chemistry and related subjects. 6. Animal scientists study the life cycle and related biological issues of farm animals. 7. Chemical engineers are involved in the production of chemicals and in trouble-shooting any problems that arise in their manufacturing. 8. Industrial production managers oversee the planning and production of manufactured goods. 9. Physician assistants work under a physician's guidance to provide health-care services to patients. 10. Medical and health services managers oversee and manage the business needs of health care facilities or departments. 11. Post-secondary education administrators are responsible for managing the everyday operations of educational facilities. 12. Operations research analysts study issues relating to management and operations through engineering and other scientific methods. 13. Post-secondary art, drama and music teachers teach courses in their respective fields at universities and colleges. 14. Food scientists and technologists analyze the composition and properties of food. 15. Nuclear technicians work with scientists on research and experiments relating to nuclear physics. 16. Construction managers oversee the building of construction projects, from the planning stages to the budgeting. 17. Set and exhibit designers construct sets for theater, television and film productions. 18. Market research analysts conduct research on different markets to estimate the business potential for an organization's marketing and promotional efforts. 19. Civil engineers design and oversee the construction of large-scale public works, such as bridges, dams and airports. 20. Nuclear medicine technologists work with radioactive materials and equipment used in procedures related to nuclear medicine. 21. Architects design buildings, homes and other structures for various clients. 22. Speech-language pathologists work with patients who have difficulty speaking, which can be the result of hearing loss, physical conditions or language barriers. 23. Chemists research and analyze different substances, often through experiments. 24. Training and development managers plan and organize a company's training for staff. 25. Diagnostic medical sonographers are responsible for ultrasounds that physicians order for patients. 26. Medical scientists research diseases and their effects on humans in order to understand how they operate and how they can be treated. 27. Kindergarten teachers (except special education) work in elementary schools instructing kindergarten classes. 28. Technical writers compose documents and communications that contain highly technical information but are easily understood by nontechnical readers. 29. Ship engineers supervise the operations of a ship, from equipment maintenance to electrical issues. 30. Dental hygienists perform some dental care on patients and instruct them on other preventive care habits. *Salary information based on data from the Bureau of Labor Statistics.